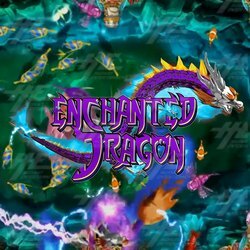 Enchanted Dragon features include high quality 3D graphics, under the sea themes, more fish characters and improved difficulty that reaches Level 30. In Enchanted Dragon there are 30 fish to catch, all of which are worth different point values. Players increase their point scores by the number and value of fish they capture during games. The main Enchanted Dragon gameplay is layered with features and mini games. These are important to use as they give players a higher chance to earn more points and in turn, the potential to earn more winnings. The Enchanted Dragon game is available to buy on its own or can be shipped with Arcooda’s six to ten-player fish machines.